Shelf-Go-Round Cabinet and Pantry Organizer. Thanks to inventor Dean Benuzzi, say goodbye to wasted cabinet space and hello to your newly organized home. The Shelf-Go-Round organizer is an easy-to-install hanging shelf with a Lazy Susan that turns unused shelf space into extra storage space. What Is The Shelf-Go-Round Product? Created by inventor Dean Benuzzi, the Shelf-Go-Round was inspired by a common household problem: unused space in between pantry shelves. Upon searching through his own pantry in search of ingredients, Benuzzi realized just how much space was being wasted in the gaps between his shelves, and quickly figured out that a hanging Lazy Susan could help to utilize this space, while keeping items in pantries and cabinets neatly organized and easy to find. With this great new invention idea in mind, Benuzzi began reaching out to invention consulting companies for advice and assistance on how to turn his idea into a product. Like many new inventors, Benuzzi quickly learned just how easy it is to fall into the trap of working with expensive “consultants” who offer little to the inventors they claim to help. Benuzzi warns other inventors, “Be careful who you show your idea to,” as he’s certainly learned this lesson the hard way. Luckily, though, he knew not to give up on his invention, and after scouring the Internet, Benuzzi finally found the answer he was looking for in invention consultant Brian Fried of Inventor Smart. It didn’t take long for Benuzzi to realize he’d finally found the right person to help. “One of the most important things is trust, and I trust [Brian] completely,” says Benuzzi. READ RELATED ARTICLES OVER 125 ATTENDEES AT THIS YEAR’S LONG ISLAND INVENTORS CLUB ANNUAL SHOWCASE. 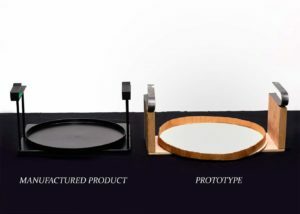 Thanks to Fried’s connections and expertise, within a year of meeting Benuzzi, the Shelf-Go-Round transformed from an invention idea into a finished product, which was recently featured on QVC and is available now for purchase. Like many inventors, Benuzzi is just getting started, and hinted that he and Fried have several additional products in the works for future release. Thanks to Fried’s connections, the two plan to present to industry licensees, ranging from As Seen On TV to home shopping channels such as QVC. Shelf-Go-Round is just one example of what happens when an inventor with a great idea pairs with the experts at Inventor Smart to turn that idea into a reality. There are, undoubtedly, plenty of inventors just like Dean Benuzzi, who have ideas for great new products and require the expertise of an invention consultant. 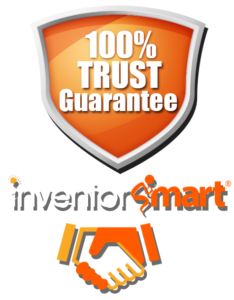 Inventor Smart is there to help every step of the way, from performing a patent search, to developing a prototype, to finding a licensee, and, finally, getting the product into shoppers’ hands. For more information or to contact an Inventor Smart consultant today, visit the Inventor Smart website and schedule a free 10-minute consultation. READ RELATED ARTICLES INDIEGOGO TO DISCUSS CROWDFUNDING OPPORTUNITIES AT THE LONG ISLAND INVENTORS AND ENTREPRENEURS CLUB. INDIEGOGO TO DISCUSS CROWDFUNDING OPPORTUNITIES AT THE LONG ISLAND INVENTORS AND ENTREPRENEURS CLUB. 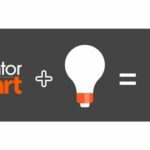 Steps to Invention Success: Why Partner With Inventor Smart? When Should I Do a Patent Search?